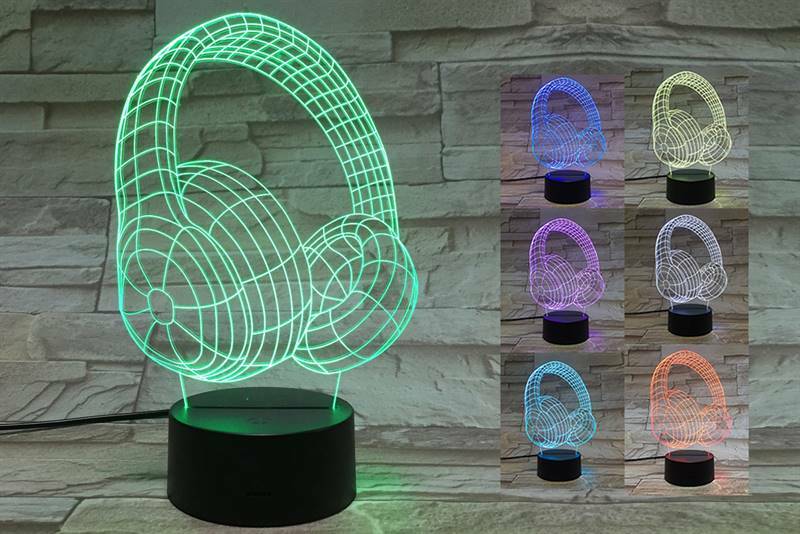 Headphones 3D Light. Illuminates your room in seven colors consecutively. Portable and attractive.